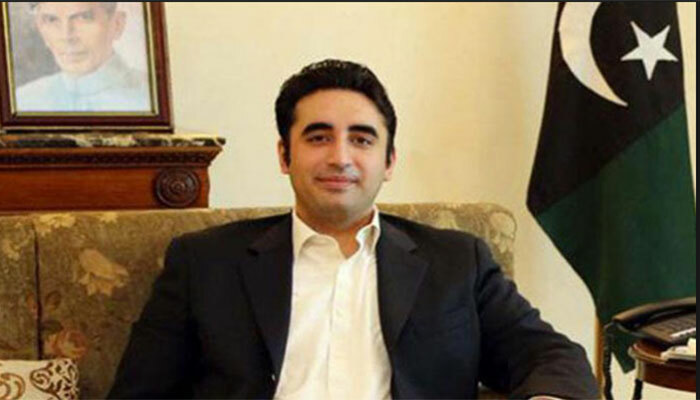 The Joint Investigation Team (JIT) sent a tough questionnaire to Pakistan People’s Party (PPP) Chairman Bilawal Bhutto Zardari, in which around 20 questions were asked from him, sources informed on Wednesday. According to sources, the investigators asked the young politician how his company, M/s Zardari Group Pvt Ltd, remained a beneficiary of billions of rupees stashed into around a dozen fake accounts. Officials associated with the investigation stated that more than 620 individuals have a direct or indirect link with more than 300 fake accounts, allegedly having accumulated wealth worth around Rs110 billion. “Yes, we have received a questionnaire from the JIT of the fake accounts case. We would respond it today [Friday] or tomorrow [Saturday],” confirmed Farooq H. Naek, counsel for Bilawal Bhutto Zardari in the case. “Questions would be responded in detail,” Naek told Geo News. The JIT questionnaire is based on the proceedings, which revealed that the PPP chairman as Director of M/s Zardari Group Pvt Ltd is acquainted with the facts and circumstances of the matter and possesses information/evidence which relates to the case. On Nov 22, 2018, the JIT served a notice on Bilawal Bhutto Zardari where he was asked to appear before JIT team on Nov 28, 2018 at Federal Investigation Agency’s Karachi office. The JIT, headed by senior police officer Ehsan Sadiq, also summoned former president Asif Ali Zardari and his sister MPA Faryal Talpur in the same case, where both have recorded their statement on Nov 28. Sources revealed that the JIT has asked Bilawal about nature of his business partnership with his father. The investigators have also asked about transactions made by M/s Zardari Group Pvt Ltd through a few fake accounts associated with the Omni Group and other over a half dozen entities and individuals, sources said. Sources further said that the JIT asked about a payment of Rs4.14 million on June 29, 2015 from a fake account owned by M/s Logistic Trading for food supplies to Bilawal House by a restaurant. This account was maintained in a private bank in Karachi. Investigators also asked the PPP chairman about fake accounts maintained through M/s Umair Associates, M/s Ocean Enterprises and M/s Dream Trading and Company. These accounts carried out more than 34 transactions worth around Rs130 million, an official revealed. The JIT also asked Bilawal about nature of his group business relationship with the Omni group of companies. Payment of Rs1.54 million of domestic water bill for the month of April 20, 2015 pertaining to House No D-30, Block 3, Clifton from a fake account of M/s Royal International which were maintained at a private bank in Karachi, revealed the sources. The JIT has also sought original documents and certified receipts to justify his stance as evidence for fake accounts case. The questionnaire clubbed with previous notice finally read if the accused person fails to respond it then this behavior may entail penal consequences under the NAO 1999, added the sources.